It was cloudy in the morning, but according to the forecast, it will be better later in the day! 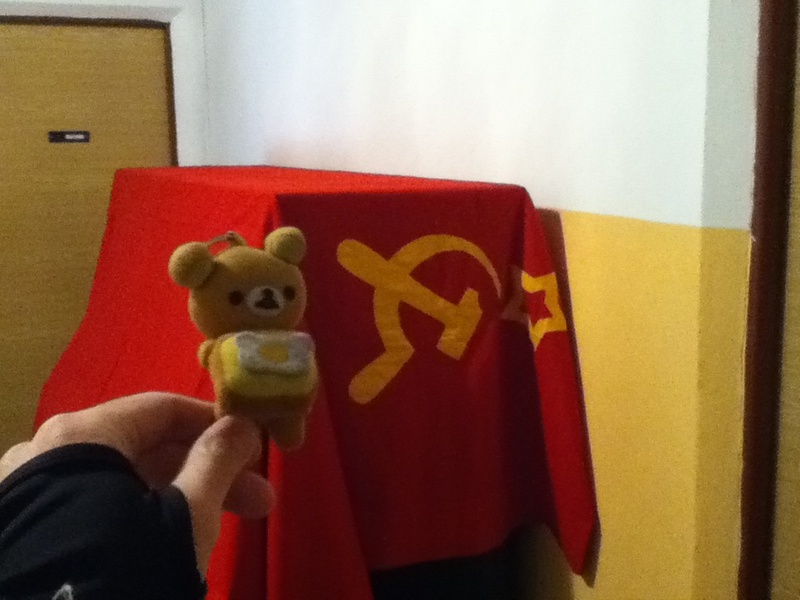 Viva Soviet! 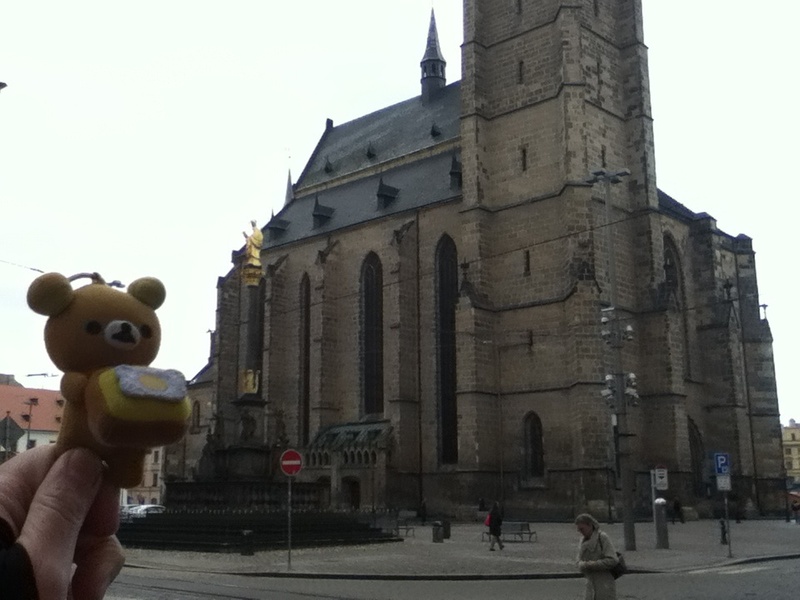 After breakfast, Tom took me to the town. Yesterday we were talking about motor insurance "Green Card" and Tom's one is covering all Balkan nations, Turkey and even Russia! So If I can buy a premium here, I wouldn't need to worry about motor insurance onwards, am I correct!? Actually before we went to the pub last evening, we went to an insurance agency. 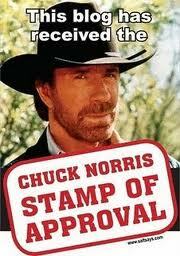 But they said they could not sell to the foreign registered vehicle. So this morning, we went to an office of AXXA. AXXA is an international insurance company, so it might sell a premium to me. Well, if they say so, so be it. So we gave up finding other agencies, and headed to Pavel's. Then the sun came out! I put back the luggage on Esperanza and ready to go! Thank you Tom and Pavel! See you guys on the road! Well, it wasn't the farewell to them as yet! As my GPS charger was breaking down, they escorted me to an electronic store near the entrance of motorway. Unfortunately, we couldn't find one for my GPS, but thank you guys anyway! See you again soon! Today my destination was Vienna, Austria. 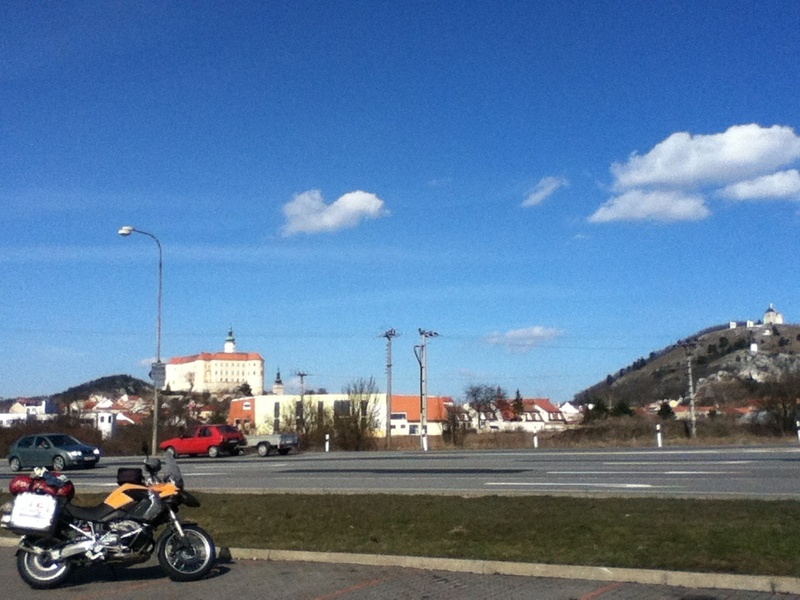 I got on a motorway and headed to to Prague. I reckoned I felt colder as the road was surrounded by fields full of snow. So the air got cooled!? 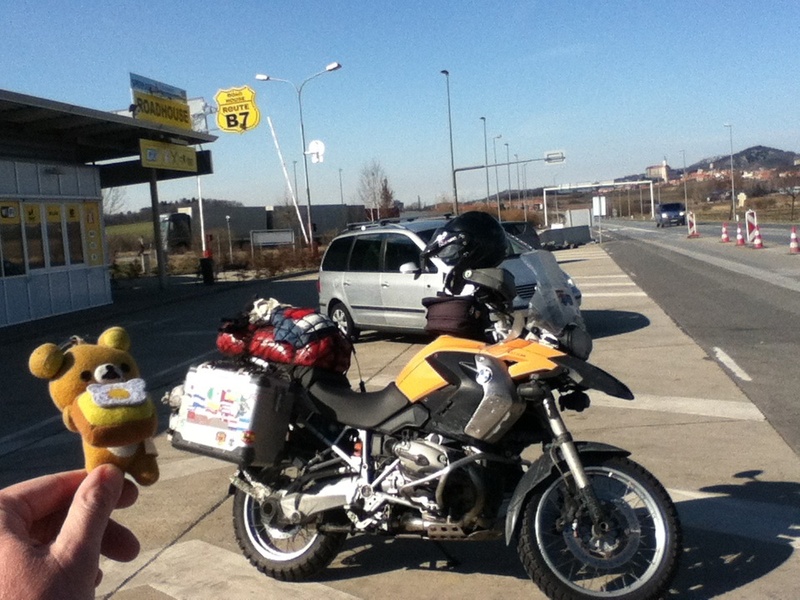 Just before Prague, I took a turn to south to the border to Austria. I ride for a while going up hill, then finally going down slope. As I descent, snow on fields was getting less and less. 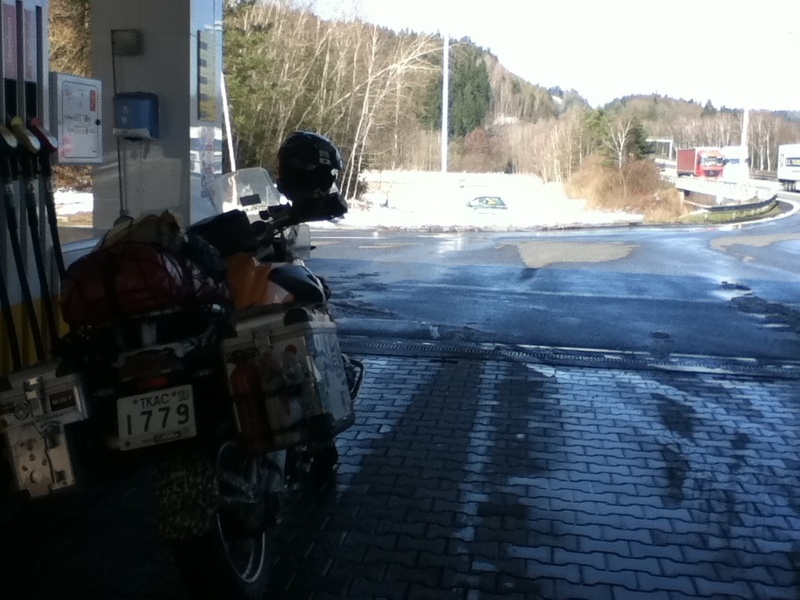 Before the border, snow disappeared almost completely. 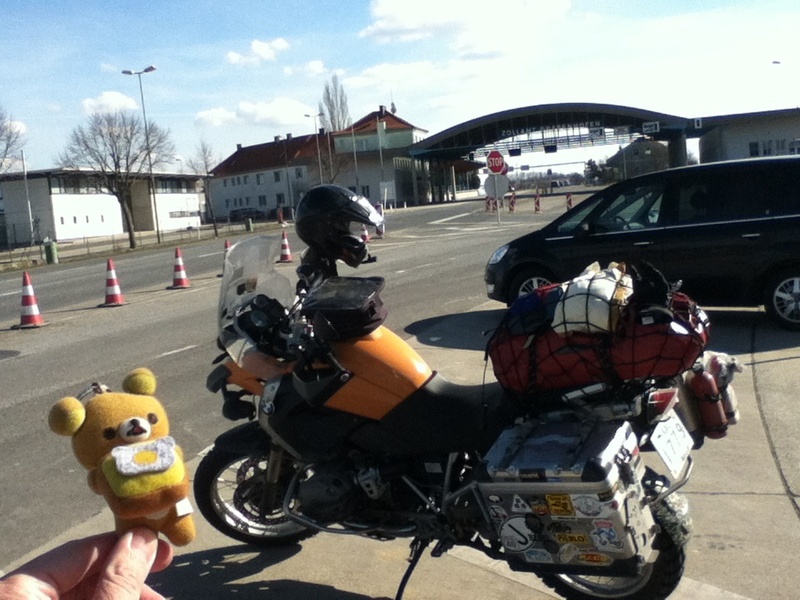 and said hello to Austria! 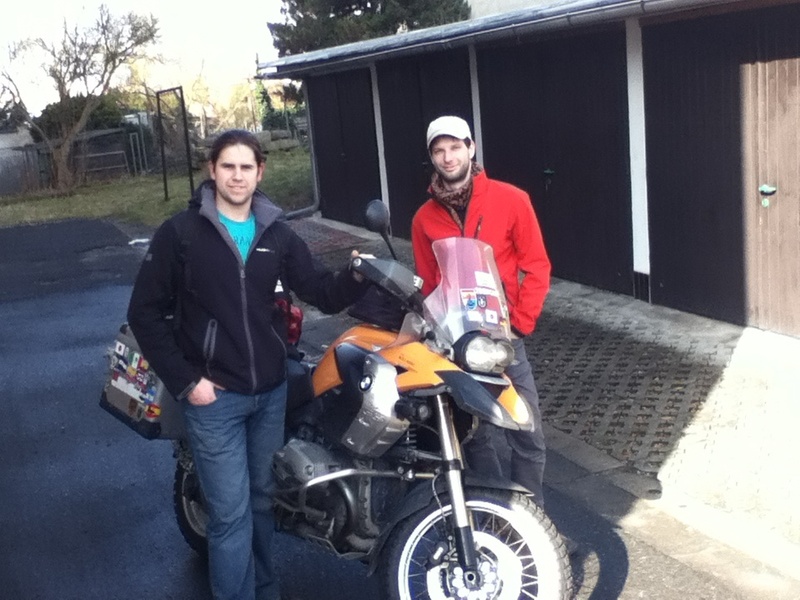 I rode straight to Vienna. It's been half year in Vienna. As I rode through the city, I was surprised that J recalled the way to the hostel! There was congestion at the same spot as half year ago! Then I cam back to the same hostel! It is hard to find a hostel with a parking. So it is easier to go back to the same hostel I stayed before. The dorm room costs €13 and it comes with breakfast. Not bad at all. Then I was planning where to go tomorrow. I reckon it would be warmer near the cost than inland. So I will go to Slovenia! 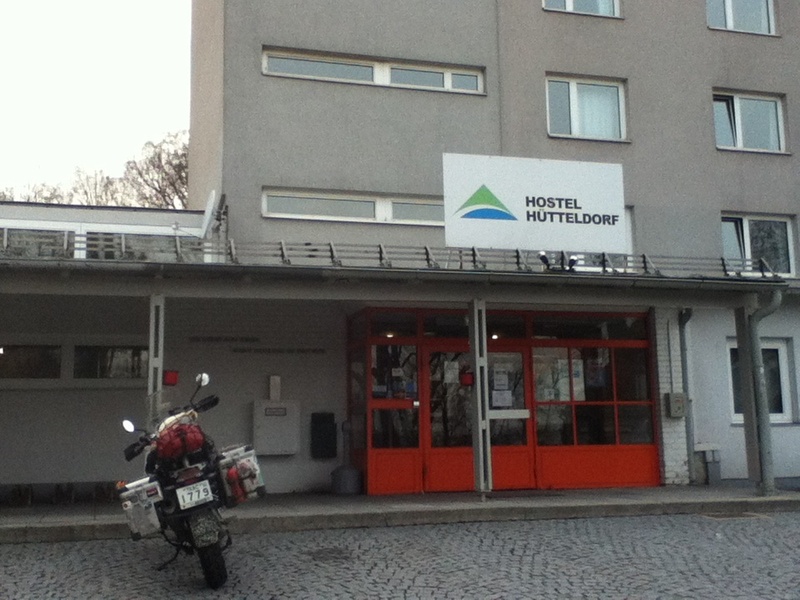 I found a nice hostel in Maribor, the 2nd largest city of Slovenia. Oh, this time I am not going to do any sightseeing in Vienna. Please refer to my previous entries for sightseeing in Vienna.